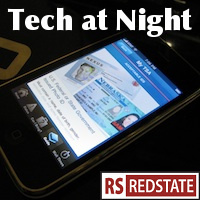 Tech at Night: Kay Bailey Hutchison and Marsha Blackburn fight, LightSquared defends itself, Obama robs us of spectrum, PROTECT IP as Kill Switch Steve Foley considers running for Congress. We can learn from him. Regulation, Regulation, Regulation. We’re faced with it, and now the regulators are going Presidential on us and claiming executive privilege at the FCC. You want to know how they’re coming up with their marching orders for America? Too bad. Just ask watchdog StimulatingBroadband.com. You want a laugh? George Soros-funded front group Free Press is suing the FCC… because Net Neutrality isn’t enough of a power grab. Incredible. Jay Rockefeller is defending Net Neutrality, meanwhile, against Kay Bailey Hutchison’s withering attacks, and push for a Congressional Review Act repeal of the regulations. Meanwhile, Free Press’s pet commissioner Michael Copps wants to drown media outlets in paperwork, proposing continuous audits of media ownership, making them all file extensive paperwork “every three years” to “take a good, hard look at the licensees’ records.” Fortunately he’s radical for even the Obama administration. Here’s a bit of a partisan reversal: Democrats are pushing to cap the size of the Universal Service Fund as it’s used to subsidize high-speed Internet access, which is important as plans are afoot to expand it into an Internet Tax. Meanwhile, Republicans are pushing to expand the program. The big secret nobody’s telling you though? Years of regulation haven’t even gotten rural calling right, and yet we’re supposed to believe new regulation will fix rural Internet access? Please. Hands off the Internet. No USF Reform, which I’ve warned for a long while now would be code for an Internet Tax. For all that people claim Fred Upton is pro-regulation, It’s Joe Barton who’s working with Democrats to regulate and restrict technology. We dodged a bullet by not giving Barton the Energy and Commerce chairmanship, it seems. Turns out Amazon didn’t fold to California after all on the Amazon Tax/Internet Sales Tax. Amazon wants to build a nexus in California anyway, and just kept that quiet until they got just what they wanted. I’m glad, since they were faced with a Business-Government complex trying to punish them for success. T-Mobile’s not getting the iPhone, yet we’re supposed to believe its leaving the market would be harmful to competition. Please. They’re having trouble competing, just as AT&T is having trouble getting the spectrum needed to compete in the 4G market. It’s win-win-win, as AT&T, T-Mobile, and the public all benefit from their merger. The only people harmed are their competitors who will be faced with stronger competition. The same principle is at work with Google and Motorola Mobility, only in this case we’re seeing vertical integration instead of horizontal, to take a failing competitor (T-Mobile, Motorola Mobility) under the wing of a powerful company (AT&T, Google) to make it more competitive again.